I realize it's been nearly a half year since this album was released. However, with the departure of the band from PS COMPANY, it seems to be a good opportunity to cover what I consider is the most surprising album I've heard. Now I say "surprising" because D=OUT has always been a hit or miss.... or miss for me. Usually their songs end up being immediately skipped on my playlist, and after purchasing "Kabuki Disco" a number of years back, I was hesitant to give this album a chance. But I was quickly surprised by how the songs actually held some variation and had personality. While it can be argued that the band has gone soft in their sound, I personally believe that this style suits them well. Due to the fact that this is perhaps the first band to release a full album without cramming in previously released singles, I'll be covering only a few tracks. The first track is "Shingitai", which effectively sets the tone for the album. You're still getting some of the typical D=OUT traditional music but there's also a soft(er) rock intermixed. The mellow tempo indicates that the album will have more of a fun, gentle nature as opposed to a wild, overly upbeat one. "OH! MATSURI MONSTER" is one of the more energetic pieces. What I like about this song is the dance feel mixed with the other band members participation in background vocals. I noticed that the background vocals is probably the biggest addition to their songs, and it actually helps add depth to the tracks. 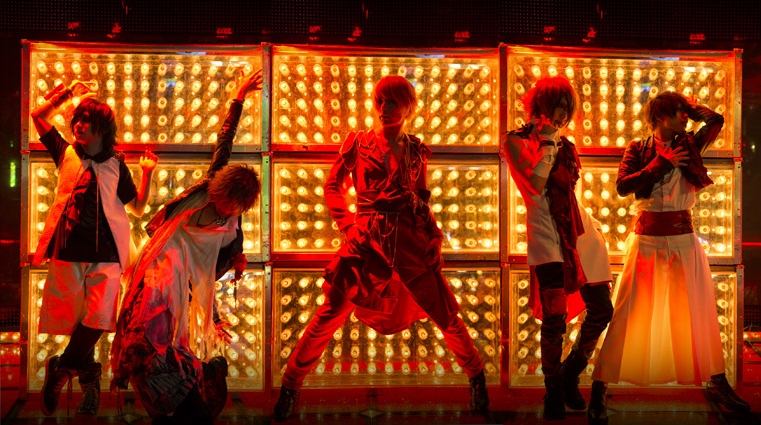 Typically I don't talk about singles, but I feel it important to address "Koi Ga Dekinai" because it was a statement of the band's "new" direction after their unofficial hiatus. I wasn't sure what to make of this song when it was first released. 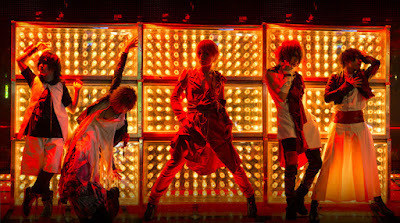 It was different from their last several releases and after having listened to their best album, the sudden shift from a more generic jrock sound to an older-fashioned sound was strange. It was also misleading because until you hear the song in context with others like it, it can be hard to appreciate the different sound. Despite its difference, "Koi Ga Dekinai" is actually a pretty clever song, incorporating many style changes. "Kireigoto" is probably the hardest song on the album. There are actually some low growls and a more aggressive tune, which again, switches up the pace against the previous track. After this song, there's a point in the album where the songs start to get a little bland. I typically find myself skipping "Shoushin Paradox" and "TAXI", but once your hit the chorus it's easier to sit through the rest of the song. I am in a love/hate relationship with "Onedari". The background syncopated rhythm is one of the most annoying beats I've had to listen to. However, I love how the song builds up to the chorus with the background vocals. Then I love the chorus itself, which leaves you feeling like you're floating; and I have to say it's enough to make me sit through the synthesized beat. I wasn't too fond of "Kokuritsu Kyougitou". Since Kouki naturally has a nasally voice, adding the auto-tune emphasizes that trait and makes the song sound like a mess. The last track is "SM". This song was perfect to end the album. It's gentle and passionate with a beautiful instrumental part. While I cannot say that "Shin Gi Tai" is a masterpiece, it's definitely more impressive than the first impression that "Koi Ga Dekinai" gave. With some questionable synthesizer and auto-tune in several songs, they were-- in a sense-- ruined. They could have done without. 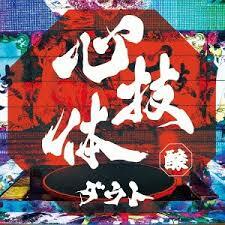 But the variety and style the band used still makes "Shin Gi Tai" an album definitely worth checking out. D=OUT seems to have found their niche. From this point, it'll be interesting to see where the band goes now that they're independent of PSC.